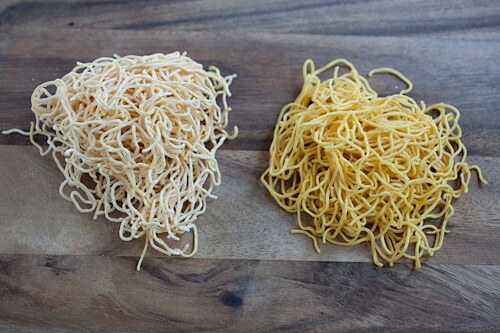 Egg noodles, or Chinese chow mein are labeled differently: chow mein, steamed chow mein, pan-fried chow mein, egg noodles, Hong Kong egg noodles, etc. Please refer to the picture above when choosing fresh egg noodle. The picture on the left is the noodles out of the package, and the picture on the right is the noodles after boiling in hot water (but before stir-frying). 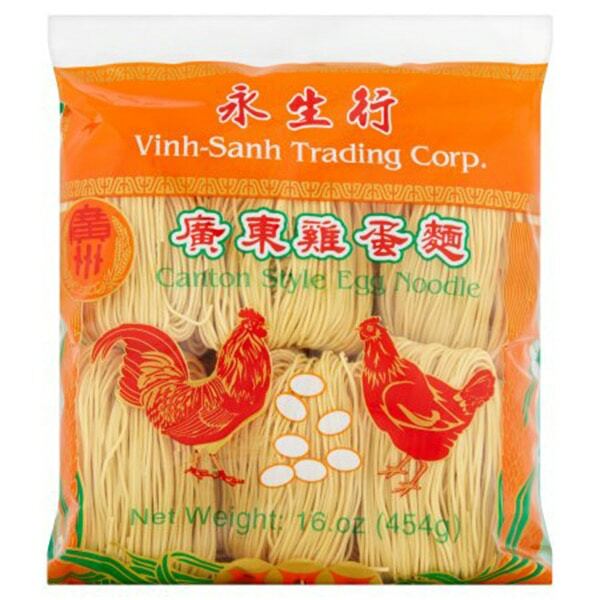 If you can’t find fresh egg noodles, you can use dried egg noodles and follow the package instructions to prep the noodles.